Posted on December 4, 2014, in Alumni, Computational Chemistry, Theoretical Chemistry and tagged Alumni, Chemistry, Computational Chemistry, GP120, Guillermo Caballero, HIV-1, Howard Diaz, IRC, QST2, QST3, Reaction Mechanism, Theoretical Chemistry, Theses, Thesis, Transition State. Bookmark the permalink. 6 Comments. I am very happy to see your post on computational chemistry. I do a small part of work in this field.It is very interesting field. Mercie beaucup, I have no French knowledge, sorry. I think its an interesting idea, I will talk to Guillermo about it. In the mean time there is a presentation on my slideshare profile about his work in case you want to search for it. We hope we manage to have his manuscript published soon this year. No doubt that the world is so small. 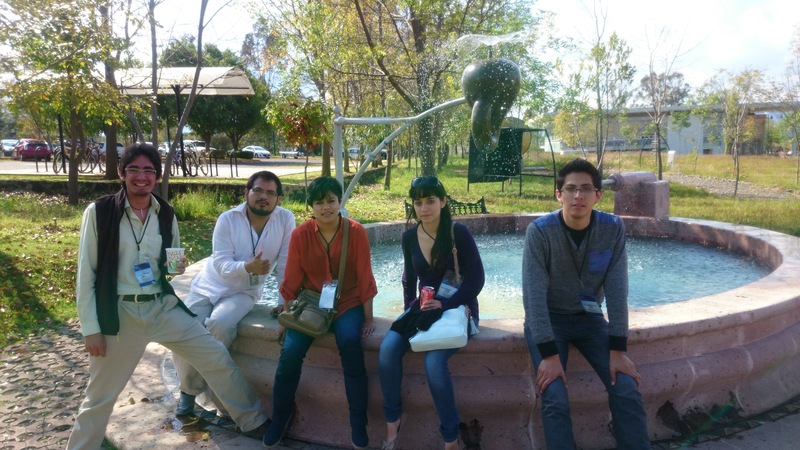 Congratulations on this great achievement, I met these guys in the RMFQT 2014 in Morelia, I noticed that they are a good young researchers. I have been a follower of your blog for a few months, I’ve even done some questions.I hope to keep in contact with you and your work team.